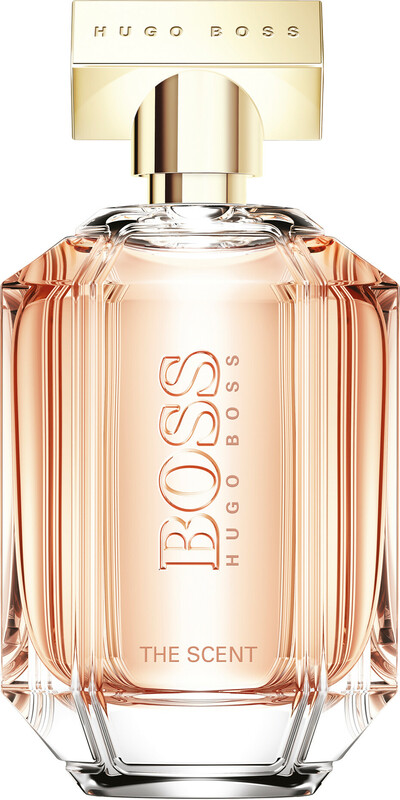 Delight in a moment of sweet seduction with Hugo Boss The Scent For Her, a modern gourmand fragrance for women. This enthralling Eau de Parfum will leave you wanting more, its scent so deliciously sensuous it will make your skin crave its sweet notes. Crafted for the woman of today, The Scent For Her perfume is as elegant as it is seductive, as innocent as it is pleasurable, and as much for her as it is for him. The floral oriental perfume is touched with sweetness from the start, with velvety tones of peach that sparkle in the top. In the heart, the sugar rush continues with floral notes of osmanthus and freesia, before a base of roasted cocoa gives the enchanting fragrance an alluring signature. HUGO BOSS BOSS The Scent For Her Eau de Parfum Spray is rated 3.7 out of 5 by 3. Rated 5 out of 5 by silvia123 from Love it Amazing scent, all I can write, I love it every time I wear it. Rated 1 out of 5 by shoppings1 from Weaker than an EDT! This is my favourite smell EVER!, but lasts 1 hour! I had to check it was a perfume not cologne or EDT I was sent :( It's fresh ,fruity, clean, feminine, soft then sensual, but unfortunately impulse sprays costing £1 last longer. Rated 5 out of 5 by janey1 from Awesome As soon as I tried this, I was hooked! It's absolutely gorgeous! It opens with a warm fresh fruity scent, moving on to floral notes, but the drydown is deep, dark and creamy. Very subtle but lasting - quite an achievement for a perfume. This is bound to become a classic.